ASTM A105 Carbon Steel Gr.F42 Flanges, Carbon Steel ASTM A105 / A694 F52 Flange, Carbon Steel ASTM A105/A105N Flanges, A350 LF1, LF2 Flanges, ASME/ANSI B16.5 Carbon Steel, Manufacturer, Exporters, Suppliers, Mumbai, India. Rexton Steel & Alloys are Manufacturers, Supplier and Exporters of Carbon Steel A105 Grade Flanges. Our experienced engineers utilize superior grade raw material to manufacture the flanges in order to make them abreast with global quality norms and standards. hese ASTM A105 Flanges are packed using qualitative packaging materials to ensure flawless delivery. Carbon Steel A105 products are available in Following Specification, Grade and Sizes. These flanges are developed under the supervision of expert professionals by making use of the finest quality material. To fulfill the diversified demands of our clients, we offer these products in various specifications. 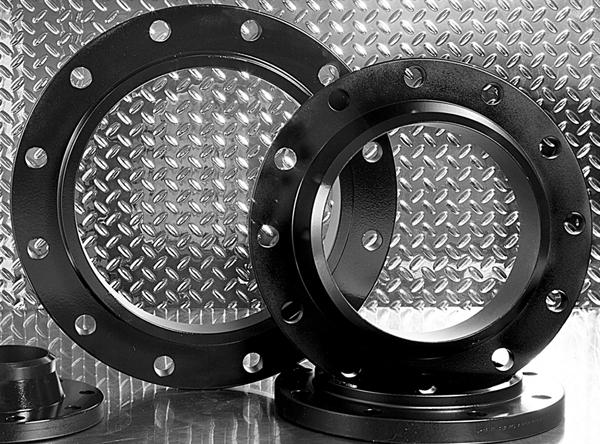 Our CS Flanges are accessible to our valuable customers in different and customized range of diameters, wall thicknesses and sizes at market leading prices. We offer the best nature of Carbon Steel Flanges which are hard-wearing and come at best rates. Broadly refreshing for its superlative quality, the scope of these Carbon Steel Flanges can be benefited in various particulars. They work efficiently in various applications and last longer than the ordinary flanges. The high performance oriented flanges we trade in are used on equipments utilized for nozzles and in piping systems and others.